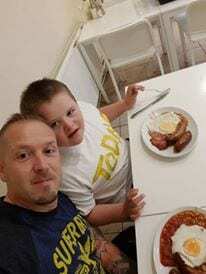 Jay Burke is a 10-year-old with Down syndrome, and his favorite place is the local Tesco supermarket. 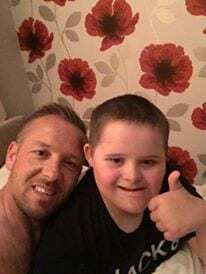 He told the UK Daily Mail he often feels judged by other parents who don’t understand his son’s condition. 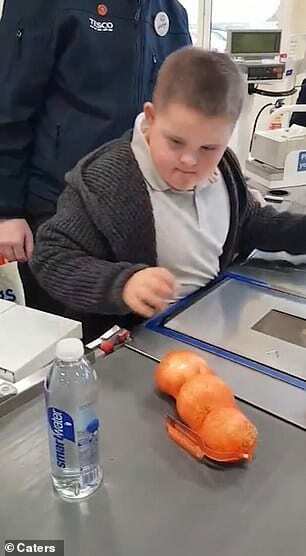 “Shopping with a child with special needs can be really difficult,” he said. 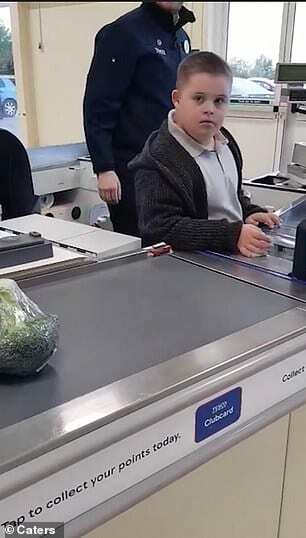 Two weeks ago, Jay and his father were shopping when the excited 10-year-old refused to leave a closed check-out lane. 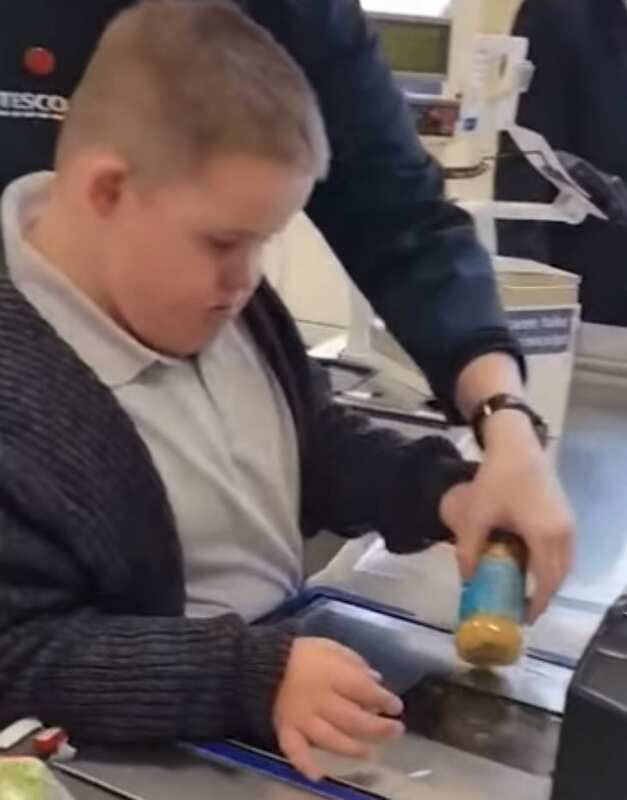 The young boy was pretending to be a store cashier and wasn’t done with his game. Despite David’s many requests, the situation was turning into a standoff. 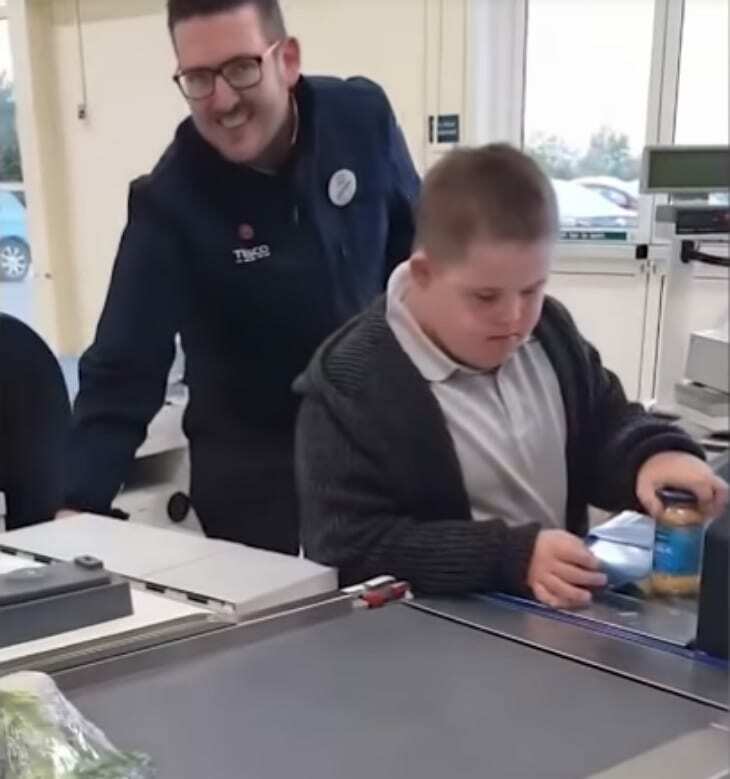 “I was trying to get him out from behind the till, but Jay decided he wanted to work at Tesco that day,” the father later revealed. Dave could feel the heat rising to his cheeks as patrons began to take note of the scene. At this point, he caught sight James, the store manager, approaching. The manager had noticed how happy Jay looked pretending to be a cashier. 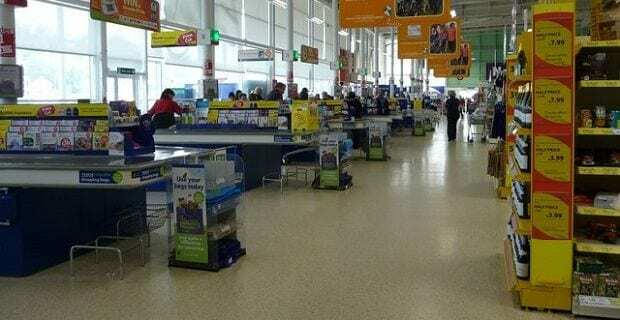 So, he offered to open the aisle and let Jay check out his family’s groceries for real! As you can imagine, Jay was thrilled with the experience, happily scanning his father’s items as they slid down the belt. “A massive well done to the staff,” said David. The manager’s small act of kindness meant the world to both Jay and his father. Since being uploaded to YouTube, David’s footage of the event has been viewed 17,000 times. It serves as a refreshing reminder of how the smallest act of kindness can make a world of difference in someone else’s world. Watch the heartwarming moment below! P.S. If you liked this story, you’ll also love this one we covered. It features Tracy Sharpe, a woman with Down syndrome who had always wanted to be a flight attendant. Then Southwest Airlines made her dream come true. Click here to learn more.